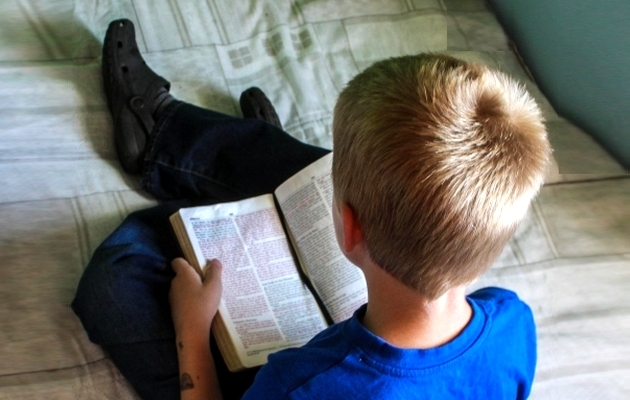 Do American teenagers still have reverence and interest for the Bible? That's a central question that guided a study conducted by Barna Group and the American Bible Society. Despite increasing secularization in American culture, the study, titled, "Teen State of the Bible 2016," found that a majority of teens still have both "respect for and interest in the Bible." Conducted by The Barna Group and the American Bible Society, the report notes that seven in 10 teenagers own a Bible, with the majority —86 percent seeing the holy book as sacred literature. This is down 3 percentage points from 89 percent in 2015. With all of this in mind, it's clear that, despite some changes over time, teens' interest in the Bible remains relatively high. "American teens sometimes get a bad rap as being uninterested or even anti-faith," Arthur Satterwhite, senior manager of national movements mobilization at American Bible Society, said in a statement. "But today’s 'Teen State of the Bible' report shows that a majority of America’s teens have respect for and interest in the Bible." As 47 percent of teens between the ages of 13 and 17 said they believe the Bible is a source of hope, with 35 percent saying the "Bible contains everything a person needs to know to live a meaningful life." This proportion dropped from 41 percent in 2015. The study also measured engagement with the scriptures, finding that, while 63 percent of teens read the Bible at least one time per year, 44 percent report reading the scriptures at least three or four times per year. While only 25 percent report reading the scriptures weekly, 53 percent said they wish they read the Bible more often. Interestingly, there were some notable Bible reading patterns that emerged over the past year. Fourteen percent of teens reported decreased Bible reading in the past year, with 41 percent saying that feeling too busy was the cause; meanwhile, 18 percent actually reported an increase in their reading. A majority of this latter group said that they increased their Bible reading after realizing the importance that doing so had to their faith journey. Another area of emphasis in the report is teens' assessment of the impact that the Bible is having both in society and in their lives at home. On the national front, 40 percent of teens think the Bible doesn't have enough influence on society, with 17 percent saying it has too much influence. An additional 25 percent believe the Bible has just the right amount of influence. As for their home lives, 50 percent of teens said that their parents sometimes or regularly read the Bible, with 54 percent of those in that group saying that the scriptures have "a lot of influence on the rules at home." "Many teens are recognizing that the Bible speaks to the complete human experience — the struggles and trials and triumphs of life," Satterwhite said. The report follows the release of the American Bible Society's annual "State of the Bible" report, which documents Americans' stance on the scriptures more broadly, focusing in on individuals ages 18 and older. That study found that 80 percent of adult Americans consider the Bible to be "sacred literature or a holy book," with 53 percent of respondents saying they believe that regular Bible reading would help politicians be more effective, among other intriguing findings. The "Teen State of the Bible 2016" included 1,013 interviews with teens between the ages of 13 and 17, which were conducted from May 6-23, 2016, with a margin of error of plus or minus 3 percentage points. YOUR ARE AT: Evangelical Focus - LIFE & TECH - USA: Are teens still interested in the Bible?